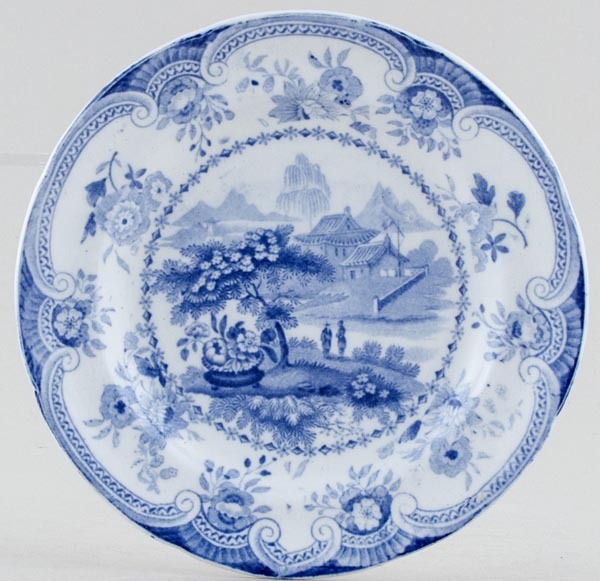 Gorgeous exceptionally small plate with pretty floral border surrounding the central scene. Backstamp: Davenport and impressed Davenport above an anchor. On the back there is a little pitting otherwise excellent condition.